I took my son to Toys R Us this afternoon so he could cash in a Christmas gift certificate. He took a while to decide what to get. Meanwhile, I had some fun a couple of aisles over. 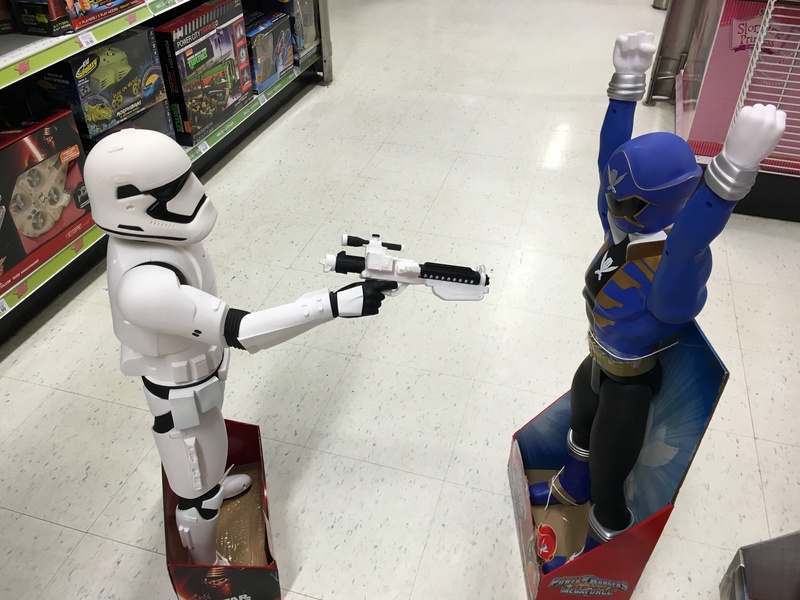 Those Power Rangers don’t stand a chance against the mighty force of the Dark Side. This entry was posted in humor, stuff and tagged fun, humor, toys. Bookmark the permalink.